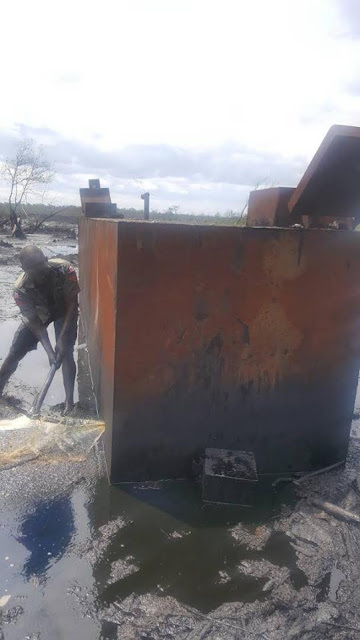 Troops of 146 Battalion, 16 Brigade Nigerian Army while on routine patrol on Wednesday along Sucrucho-Kalarogbana Fishing Ports general area, discovered and destroyed a reactivated illegal oil dump. 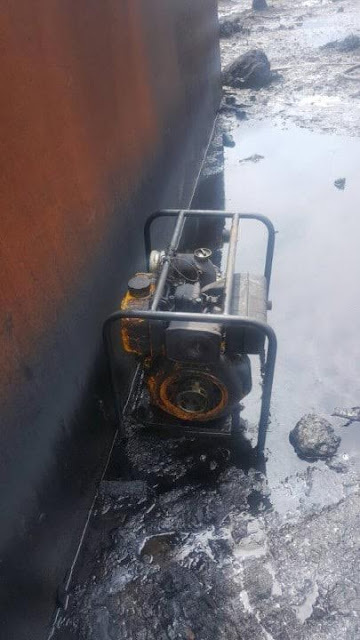 Items recovered include 1 Cooking pot, 2 Storage tanks (iron and plastic) loaded with suspected stolen crude oil, 1 Cylinder, and a pumping machine. 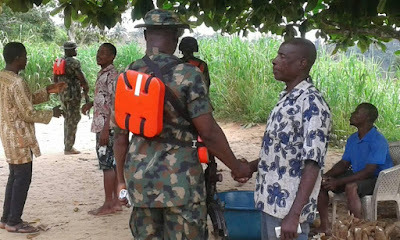 In a related development, on the same day, troops stationed at Forward Operation Base Ahoada, while on routine patrol around Ogbogu general area arrested a suspected cultist. Items recovered from the suspect include local charms and substances suspected to be marijuana. The suspect has been handed over to SARS at Erema for further interrogation. 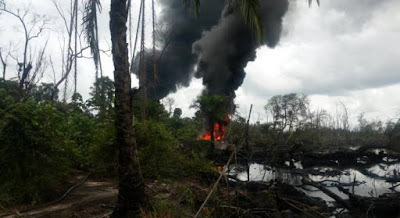 Similarly, on Tuesday 27th June 2017, following a tip-off from well-meaning citizens, about suspected armed bandits terrorizing residents of Ogbolo-Ogbolo community, combined troops and personnel of Mobile Police stationed at Akinima Division, carried out cordon and search operation in the area. Although the suspects fled the scene, before troops arrival, the combined team recovered 2 Locally made gun loaded with cartridges, and 3 Machetes. 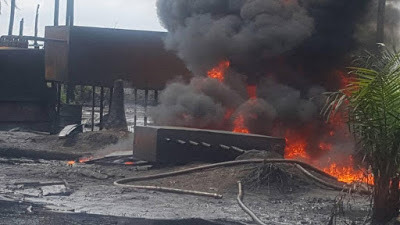 The troops also thwarted an attempt by kidnappers to attack traders at Omoku market on the same day, following the aftermath of cultist rivalry fight at Uzochi community in Ahoada LGA, Rivers State, troops also conducted aggressive patrol from Ogbogolo to Uzochi. Although normalcy has returned to the area, the Patrol Commander sensitized the inhabitants of the area on the need for peace.